Lauched in 2016, student forums provide an opportunity for students to engage directly with senior university leaders on issues that are important to their university experience. 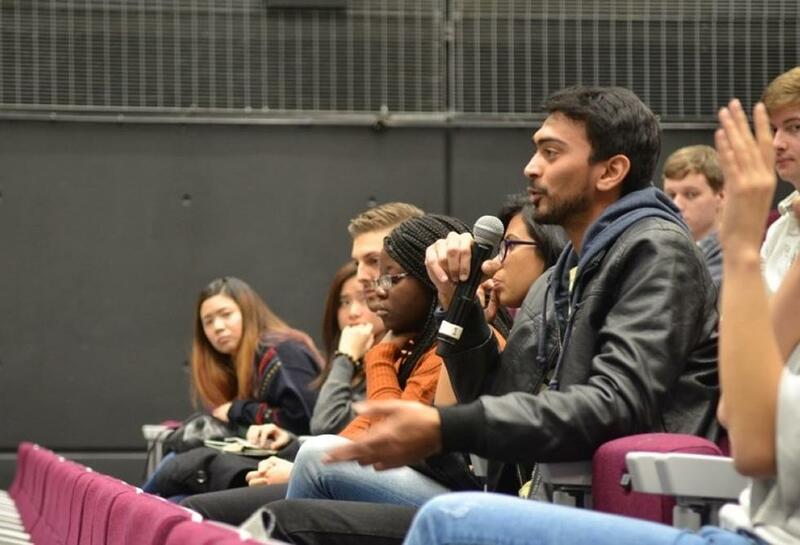 Student forums are a great opportunity for students to offer significant feedback on their course, as well as the various services available across the University. Big changes have been made in response to the ideas put forward by students at these events. A number of subjects are discussed including; employability, Personal Academic Tutors, placement support, IT, facilities and much more. Free boiling water is now available across all University catering outlets, on the basis that people bring their own cups/flasks to be filled. In the meantime, hot water can be sourced from the Students’ Union free of charge. Both the University and the Students’ Union understand how crucial these spaces are for students. With demand for chill-out areas increasing, the University has published a list of all the different spaces across our campuses (both study and chill-out). The Union’s Education Zone ran a consultation to look into what chill-out spaces would be welcomed in Building 42. A new work-shadowing scheme will soon be trialled, where students will have the opportunity to work closely with staff. This has been created specifically for students who may not be able to take part in a placement. There will be a pilot in the Finance department, making shadowing opportunities available for up to 30 students. The pilot should be up and running later this academic year so keep an eye on the work experience section of the Careers and Employability website. The Careers and Employability team are currently looking into helping students work-shadow for external businesses as well. Careers Practitioner Karl Anton reviewed this idea and has proposed a set of relevant resources to be developed and shared on the Student Groups How To webpage. Karl will take this idea to a joint working group meeting with Dan Varley, VP Engagement, so that they can consider how to take it forward together. A number of placement videos, originally from the Business School, have now been shared to the wider University community and can be accessed on the Careers and Employability website. There has been an update to the ‘Master Classes’ series on all of our work experience programmes. These short 30 minutes sessions tell students where to start, opportunities that are available, and how to apply. Sessions are every couple of weeks and can be found on MyCareer. The Faculty of Health Sciences have arranged for Rebecca Thomsen, Nursing Academic President, to join a placement practice working group, which will offer an insight into the industry for nursing students on placement. The faculty are also implementing mid-placement meetings, and reviewing a range of processes, including the ability for students to swap placements. The next event, will be held on Wednesday 2 May from 12:30 –14:30 in Garden Court, Highfield Campus. Join the event on Facebook or register for your ticket on Eventbrite. Flora Noble - President of the Students’ Union as as well as Sabbatical Officers from the Students' Union and staff representing a number of services across the University. A light lunch will be served during the networking event.